When we left my dock today we headed south of Everglades City and ran into a big school of black drum. We caught several big ones using live shrimp for bait . 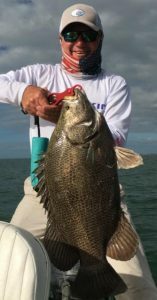 The fishing in the Everglades has been red-hot! Don’t miss out! Give me a call today to book your next trip! Today when we left my dock we headed into the deep creeks north of Everglades City. 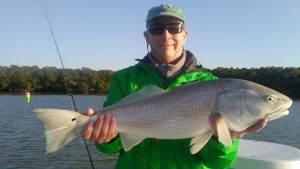 While at the creeks we caught a nice mix of mangrove snapper , trout, and Black drum using live shrimp for bait . Fishing in the Everglades has been great, providing with some great action! Don’t miss out, give me call today and lets go catch some fish! The triple tail were on the bite today. We scored with several nice fish using live shrimp for bait . 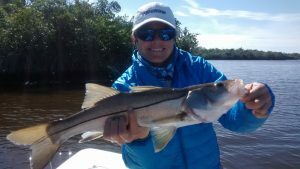 January is a great time for fishing in the Everglades. Don’t miss out on the action! 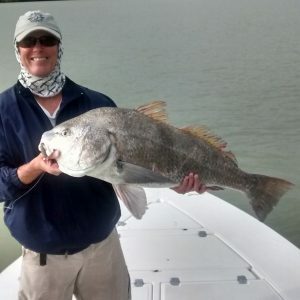 Give me a call today to book your next fishing adventure.